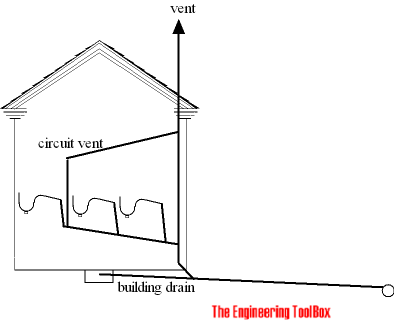 Vents transports sewer gas through the building to open air space. Properly installed the vents prevents traps siphoning and sewage gas to leak into the interior building. Individual vents serve individual fixtures. This vents only one fixture but may connect into an other vent that extends to open air. Relief vents provide additional air to the drainage system where the primary vent is too far from the fixture. 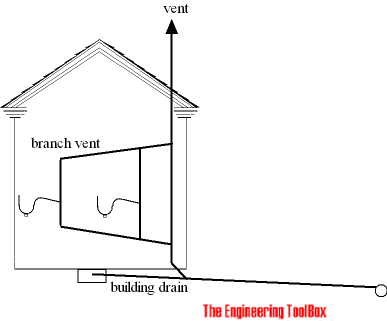 Branch vents are vents extending horizontally that connects multiple vents together. 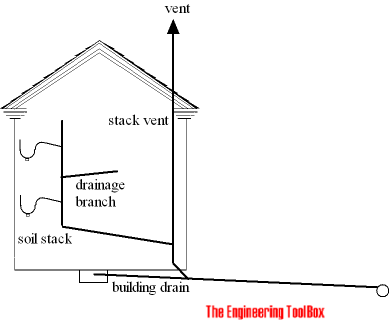 A vent stack is used only for the purpose of venting. Vents are normally sized by using the "Developed Length" (total linear footage of pipe making up the vent) method. 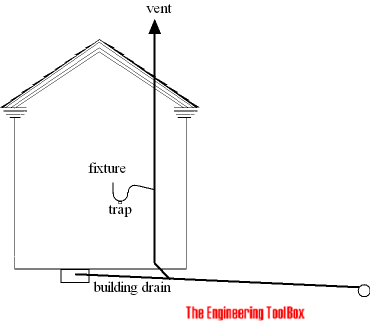 Engineering ToolBox, (2006). Drain Pipes and Vent Stack. 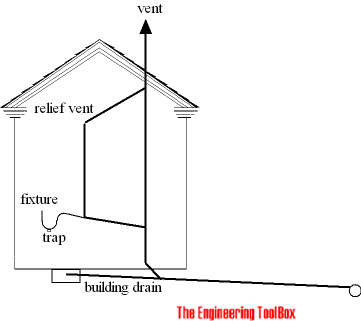 [online] Available at: https://www.engineeringtoolbox.com/drainage-vents-d_1110.html [Accessed Day Mo. Year].